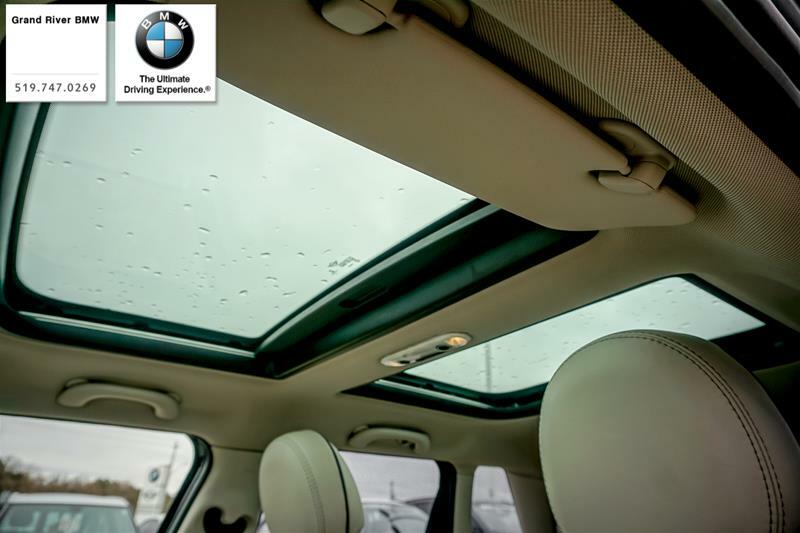 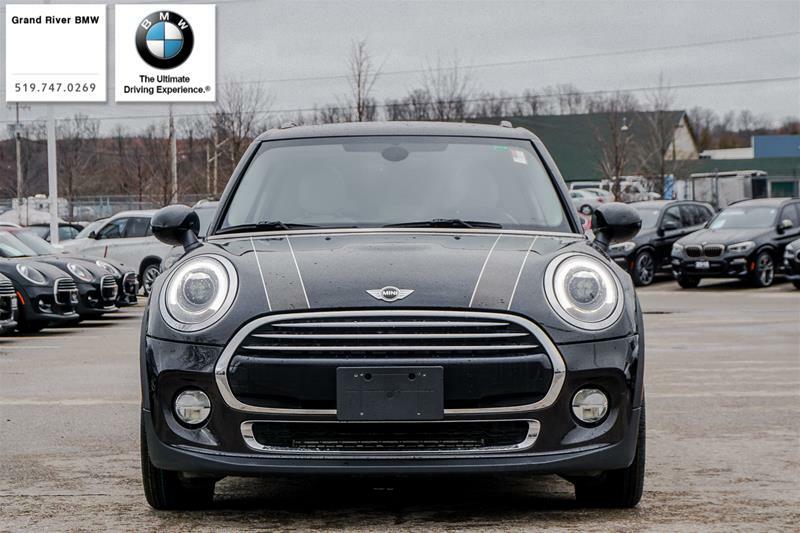 This 2016 5 door Comes in to our dealership beautifully equipped with Dual Moon Roof, Heated Front Seats, Comfort Access, Dual Climate Control and as well Rain Sensing Wipers and Auto Headlights. 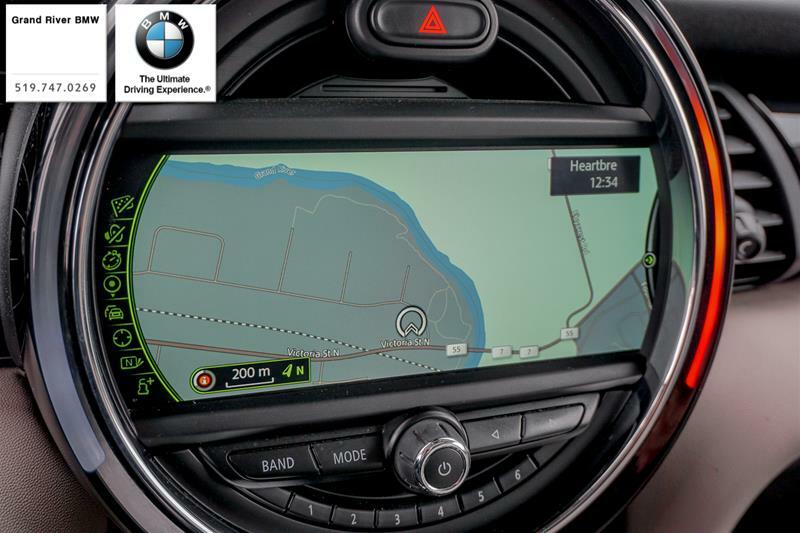 The Navigation is great for making sure you get to your destination and the LED Lights package will ensure the road ahead is clear. 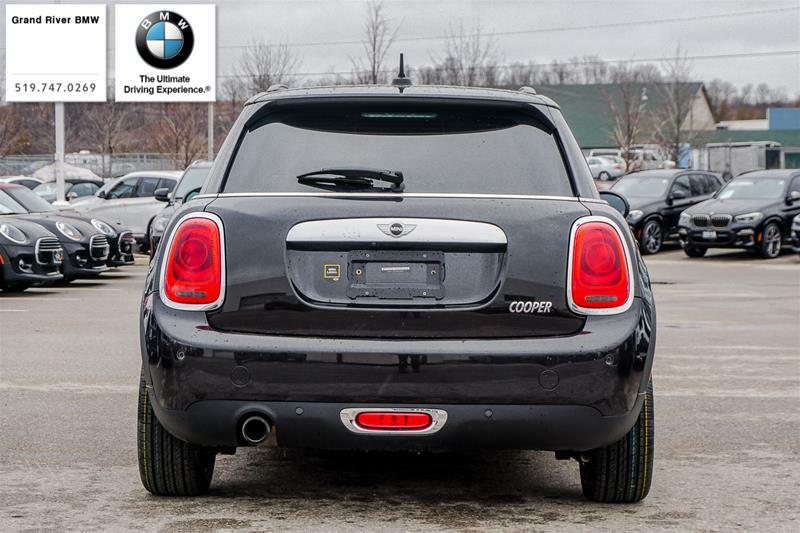 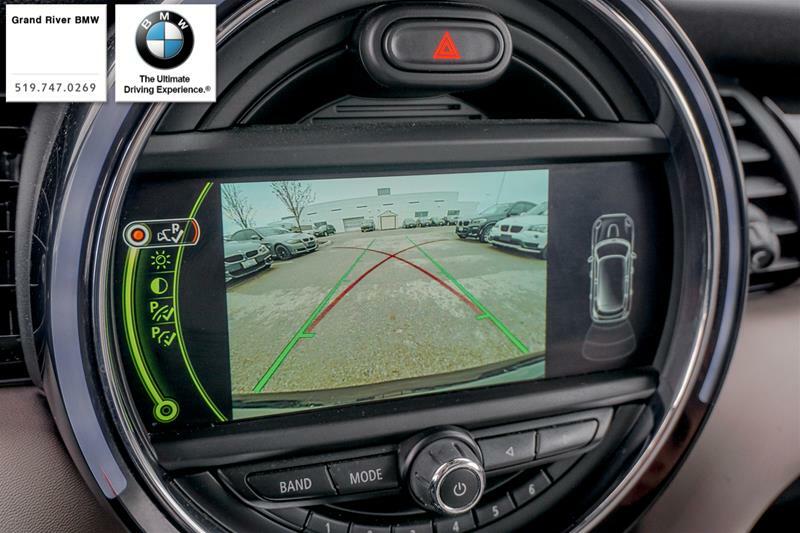 When you arrive it will be easy to back in to your spot using the Reverse Camera and Parking Sensors. 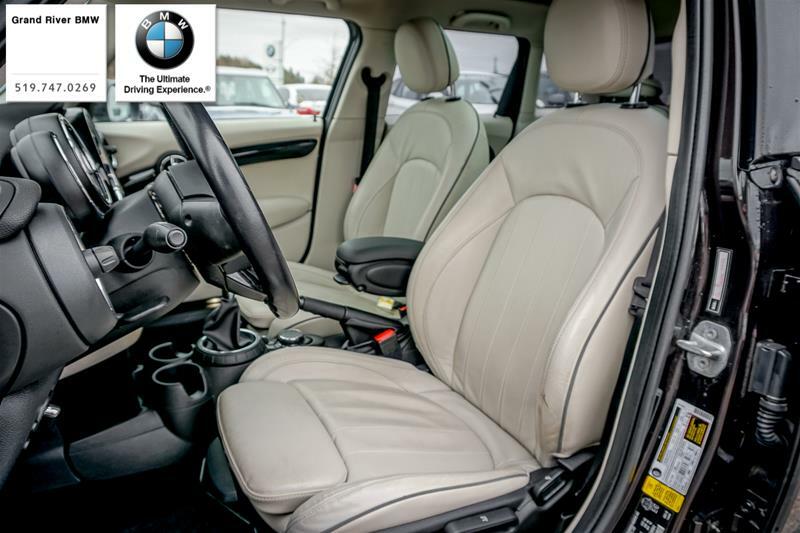 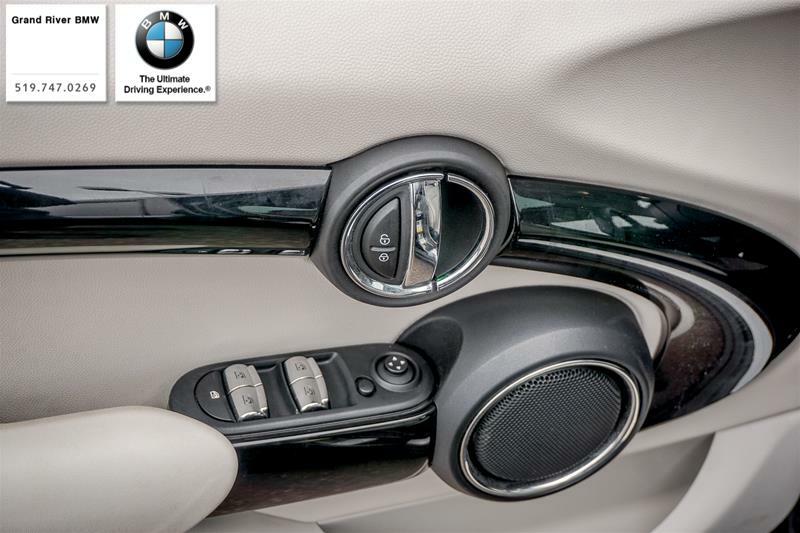 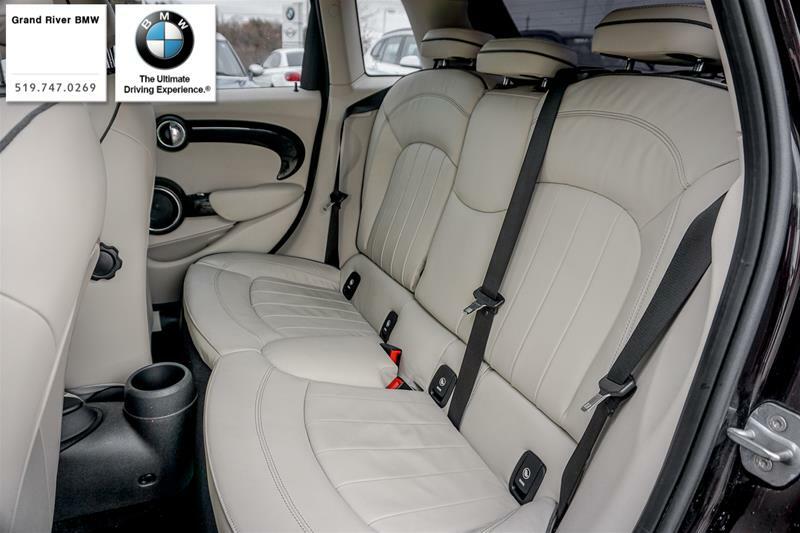 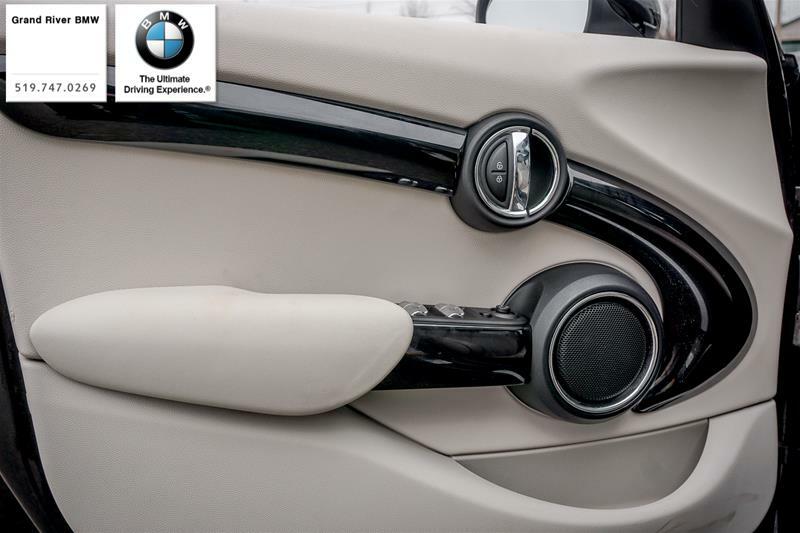 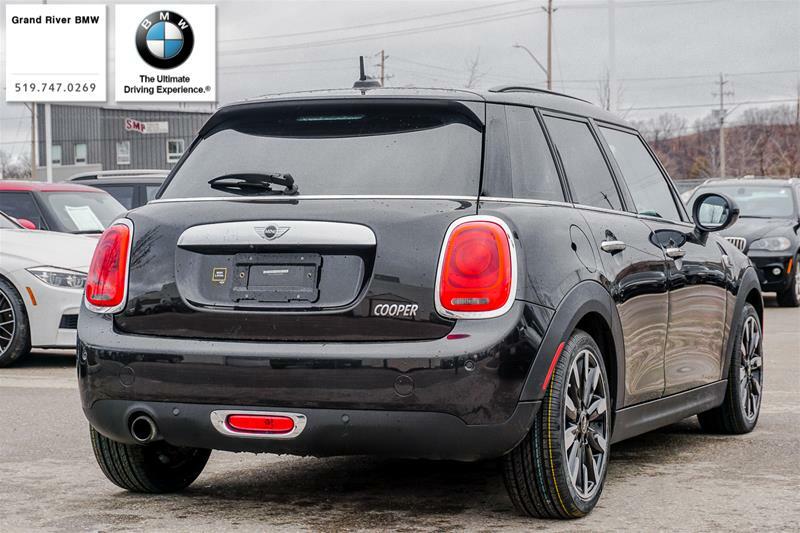 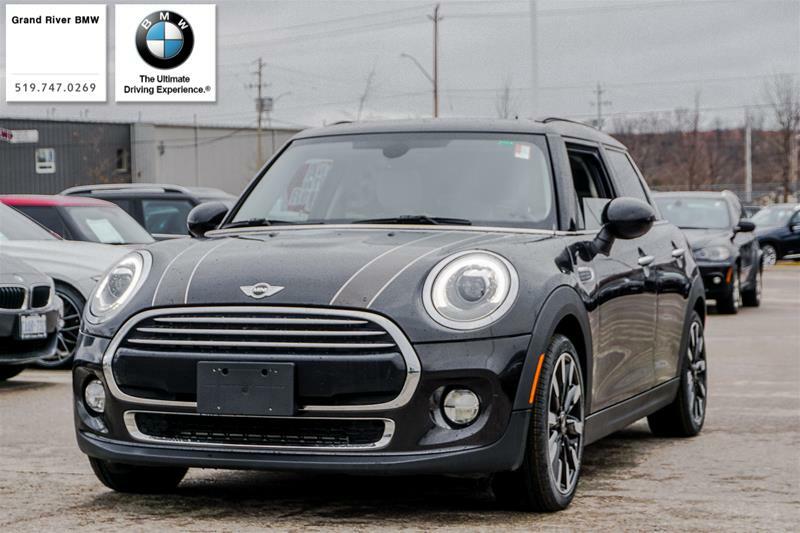 This 5 Door also comes with the Heated Front Windshield which is much easier than getting the scraper out and if you do need the scraper you can hide it under the through loading Storage Compartment Package so it's not in your way. 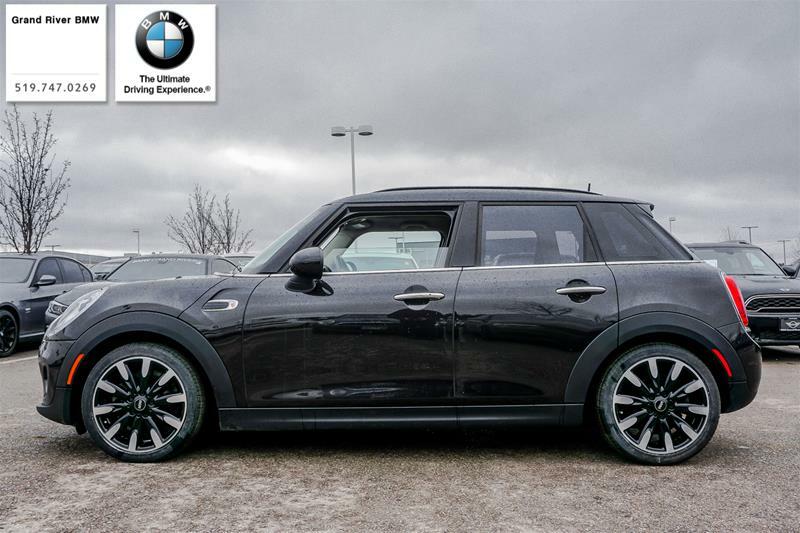 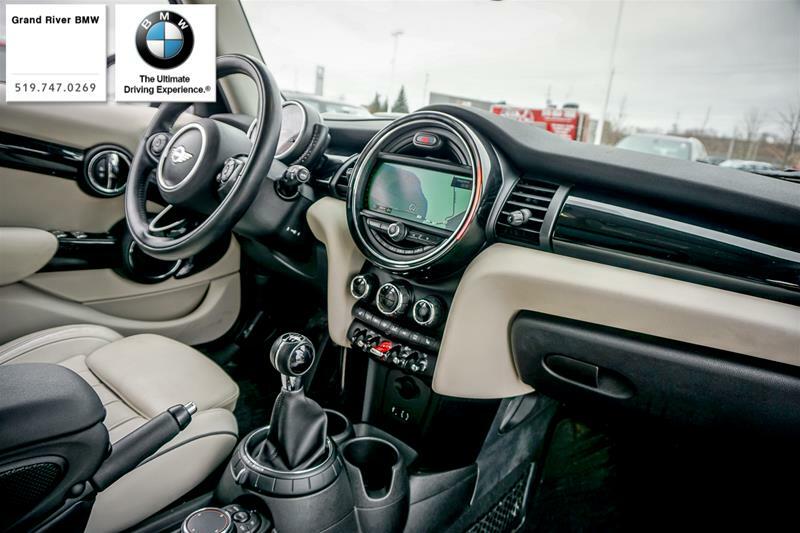 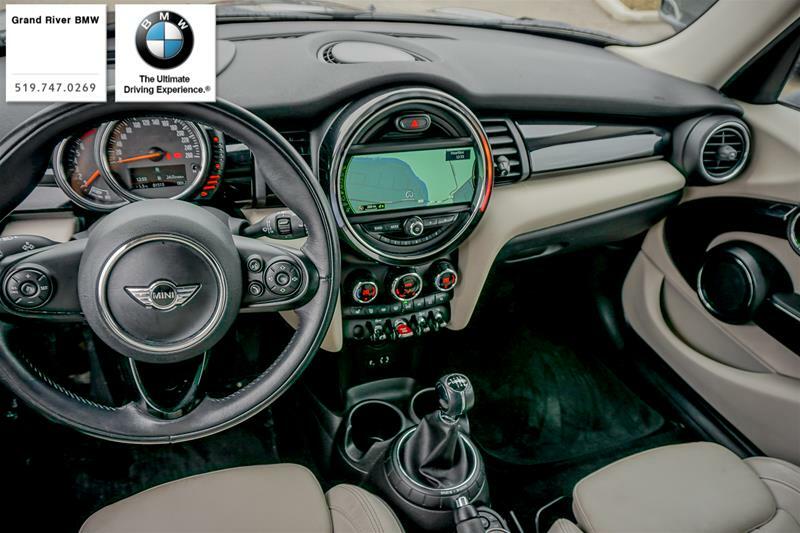 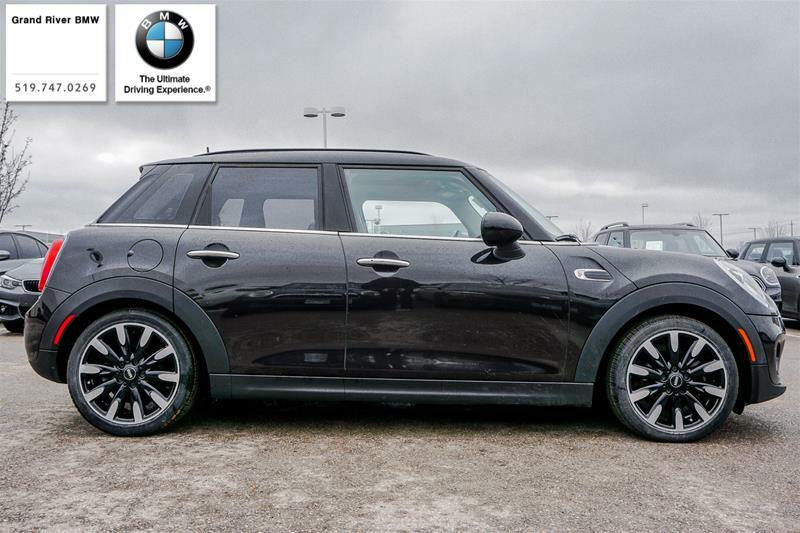 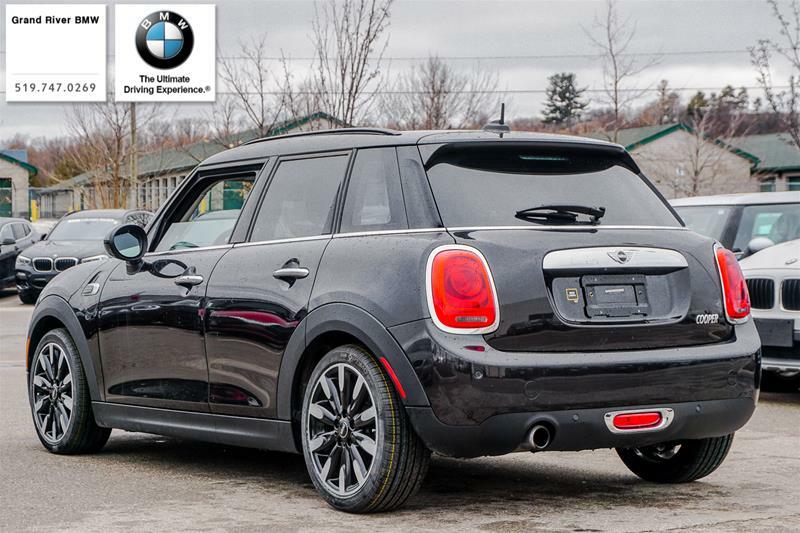 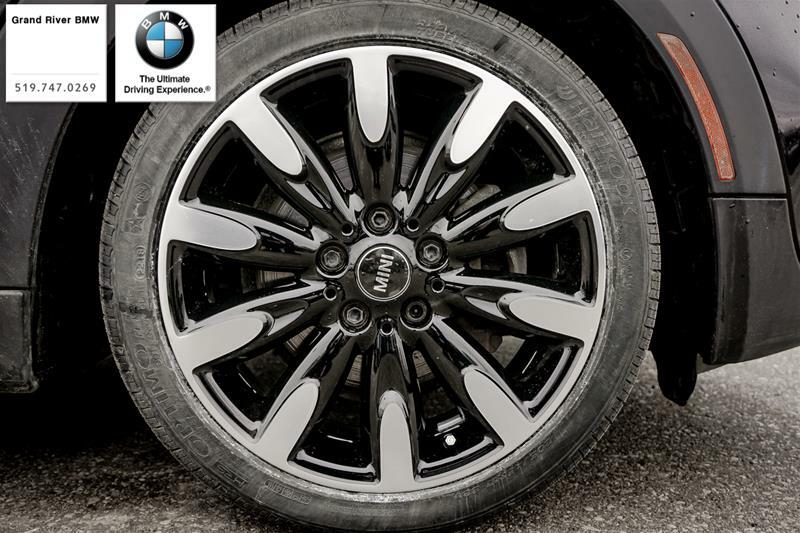 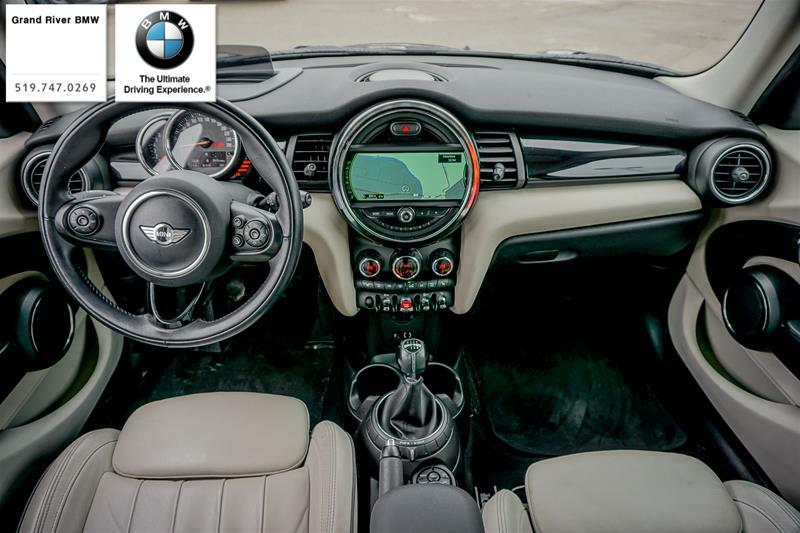 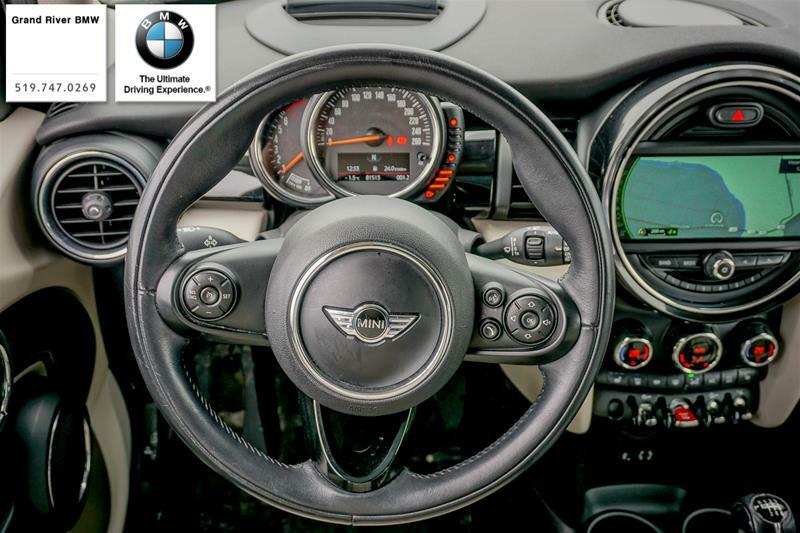 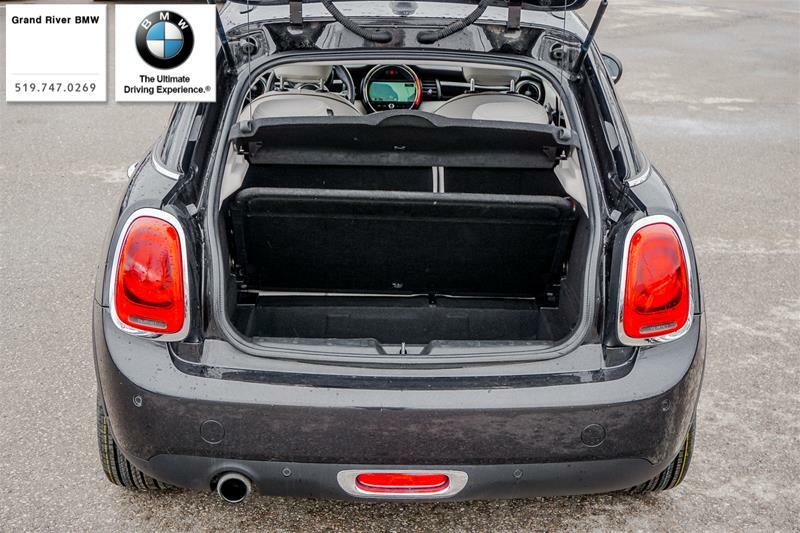 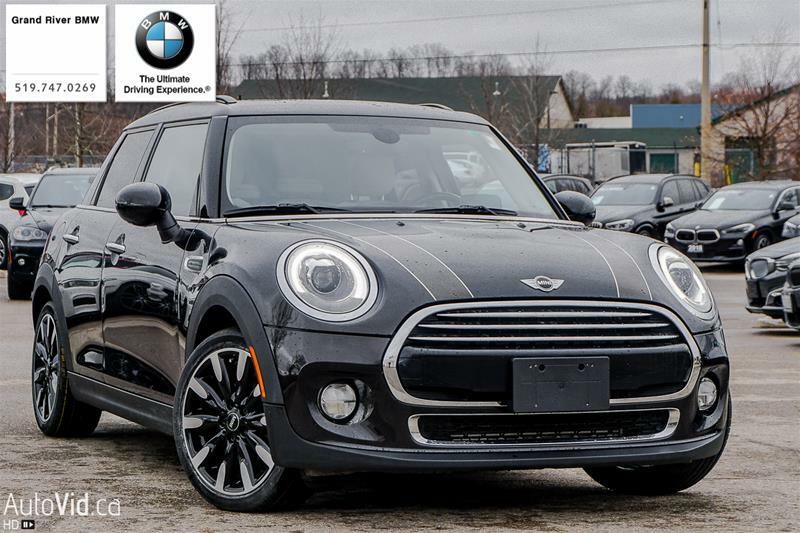 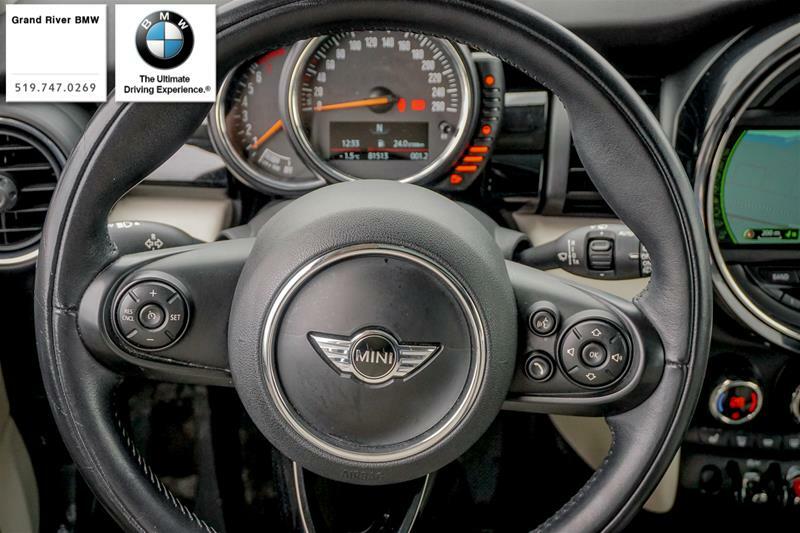 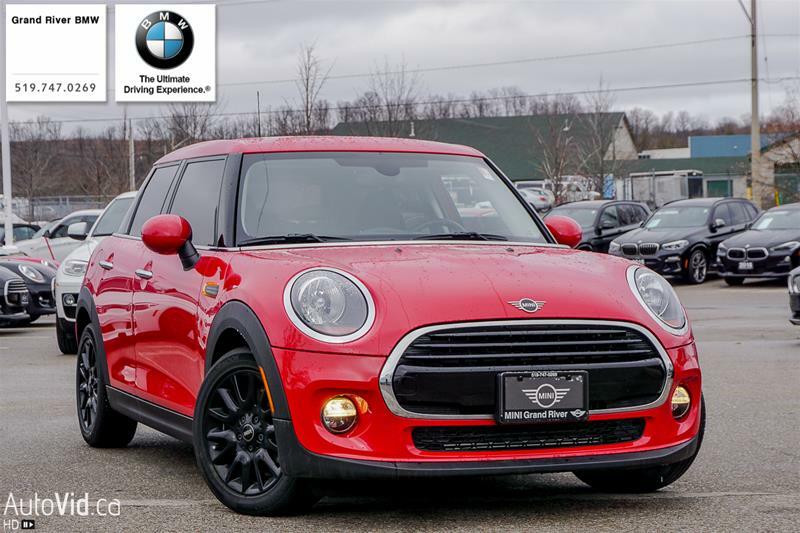 Finish this off with a stunning Satelite Grey Leather interior and 17" Roulette Rims and you have a slick and very functional Manual Shifting MINI.